Get a group of friends together. Choose a monthly cookbook to highlight. Pick 1-2 recipes to try on your own. 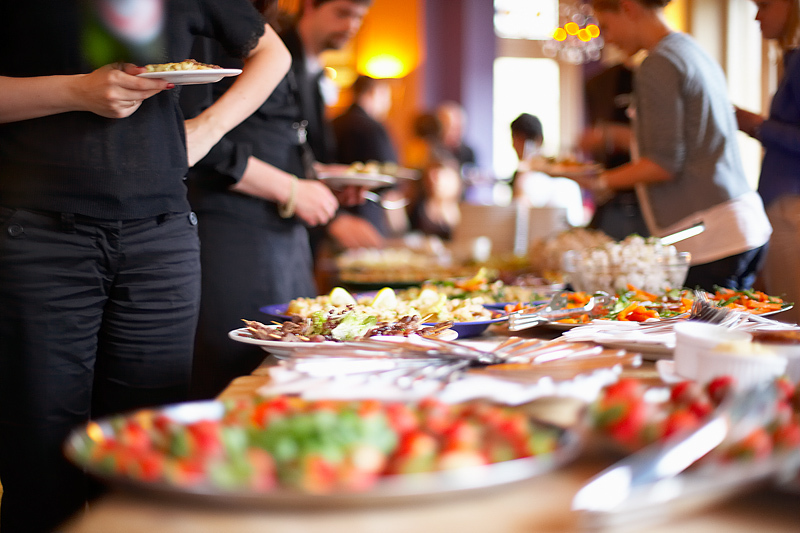 Whip up those recipes for your club meeting, a potluck at any member’s place. Each month, I’ll write up a post about our club’s most recent meeting, the book we chose, and the recipes I’ve tried. I’d love for this to become a new feature of GKG! It’s such a fun way to get together and cook with friends, and the time investment can be as involved or as minimal as you like. 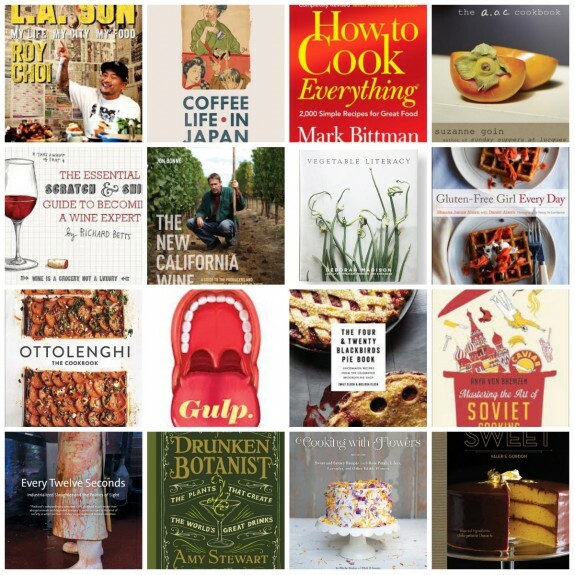 Watch for an upcoming “Cookbook Club” page in GKG’s title bar. Yummo, indeed! Red pepper pesto? Yes, please! This pesto requires a little effort up front, but the roasting process is so simple and the sauce’s flavor so rich, that I think it’s well worth the work. 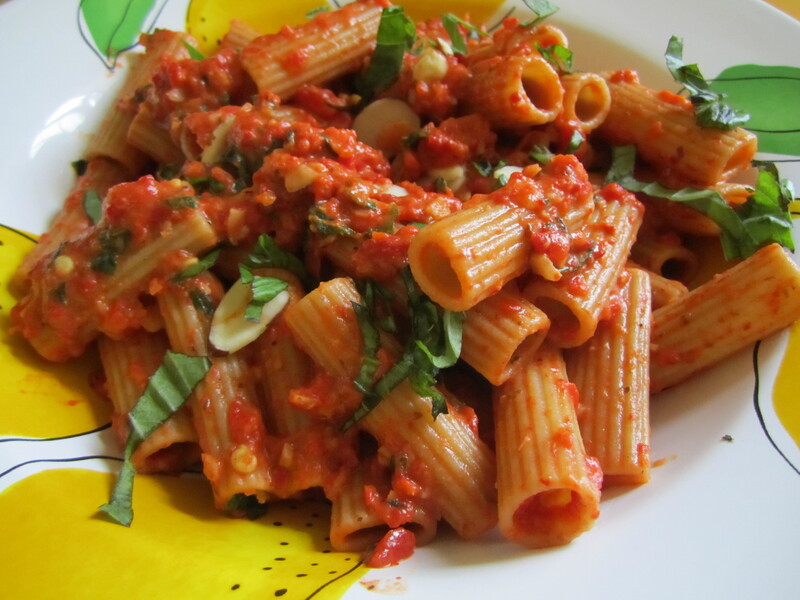 Try the sauce on freshly-cooked rigatoni, slathered onto a flatbread, or even as a dip from crudités or slices of baguette. Happy eating! 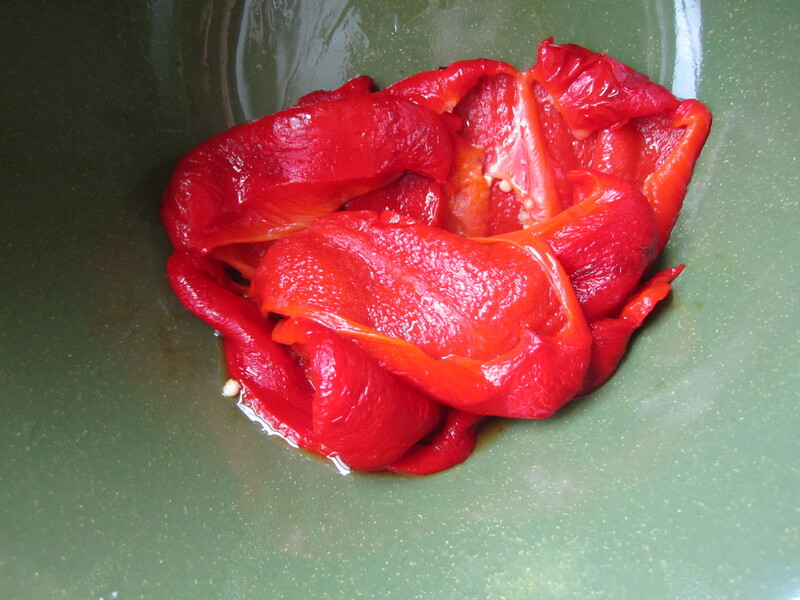 Roast the red peppers on a lightly oiled cookie sheet under the broiler to their skins. (You may need to turn the peppers 2-3 times to hit all sides.) 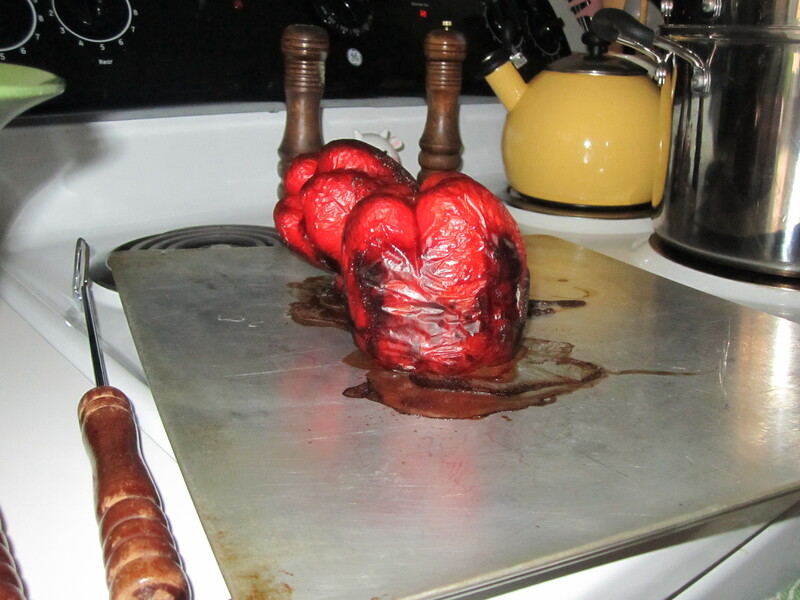 When skins are blackened, place peppers in a bowl and cover with plastic wrap until completely cool. 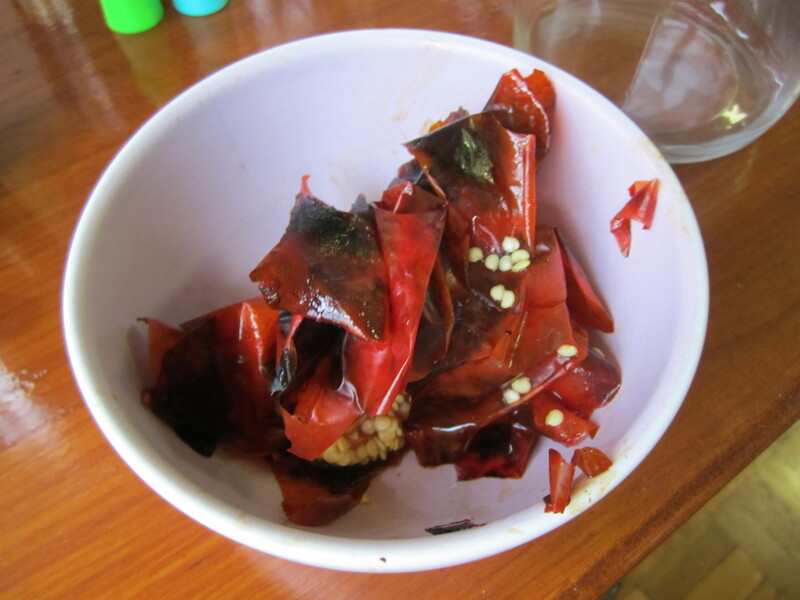 Then, peel and seed peppers, discarding skins and seeds. Leftover skins and seeds. Discard these, even though they look pretty cool.. Your freshly-roasted peppers will look something like these beauties. Place the peppers and chiles (if using; add red pepper flakes at this time if using those, too) in a food processor or blender. Add nuts, herbs, garlic, salt & pepper. Add cheese, then process while streaming in extra virgin olive oil until the sauce is smooth. The consistency will be like an herbal pesto: thick, not soupy. 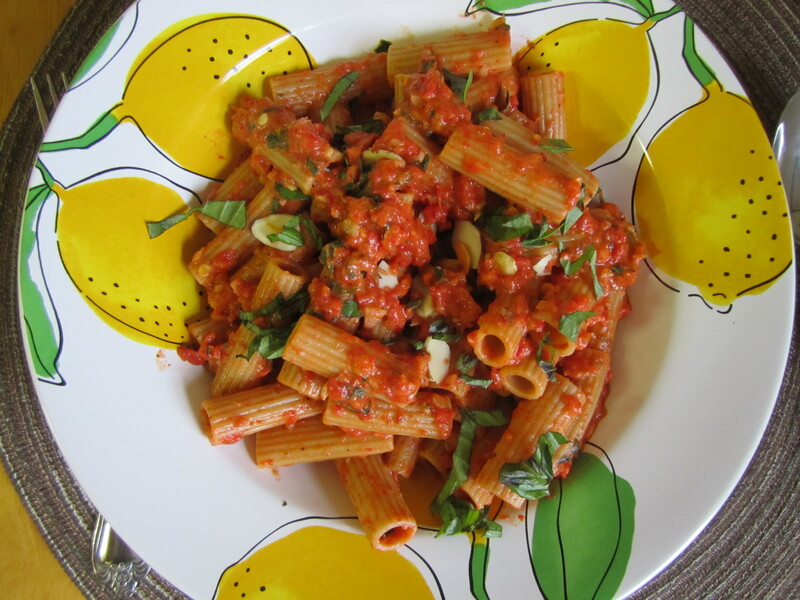 Serve over pasta (I recommend ziti rigate or rigatoni, but spaghetti or linguine would also be delicious) with a few basil leaves on top for a garnish. Interested in forming your own Cookbook Club? Stay tuned for my Cookbook Club page, or check out this series of posts over at Gourmet.com. Yum yum for everyone. Here’s to collective food adventures!